Totally impressed, and thoroughly happy!!! 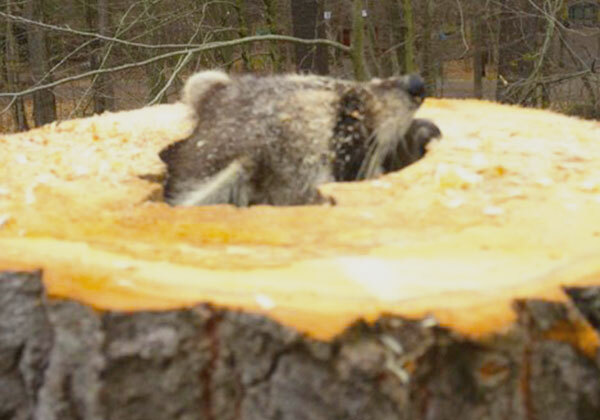 … That describes our experiences with Strunk’s Tree Service. We are not easily impressed, but these people definitely deserve the 5-star rating that we gave them. We needed a great amount of work done around our house. Their estimate was fair and accurate, with both the dollar amount, and also with the time it would likely take to get this large job done. They took care of removing all of the dead trees, as well as the nuisance bull-pine trees, plus the trees that were compromising the safety of our roof, including the numerous large overhanging branches from many live trees. Their crew members were personable, knowledgeable, and extremely efficient. They showed up on time, worked non-stop, and cleaned up completely. Since the ground was too soft in some areas for their bucket truck, they climbed up the trees instead. They are hard workers, and they do a great job. We first hired them to clean our second-story gutters. 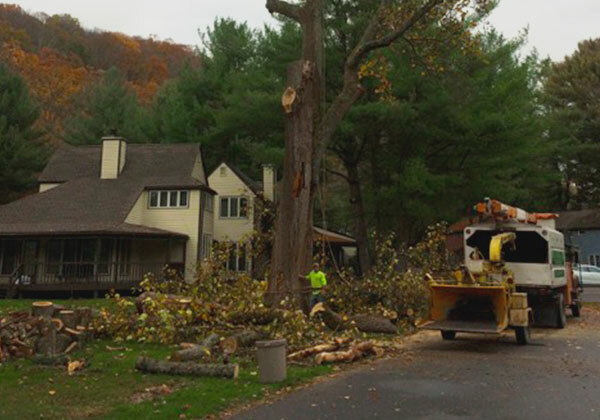 We liked their service so much, we then hired them again for this much larger tree job. We will continue to use them for our gutters and tree work in the future. 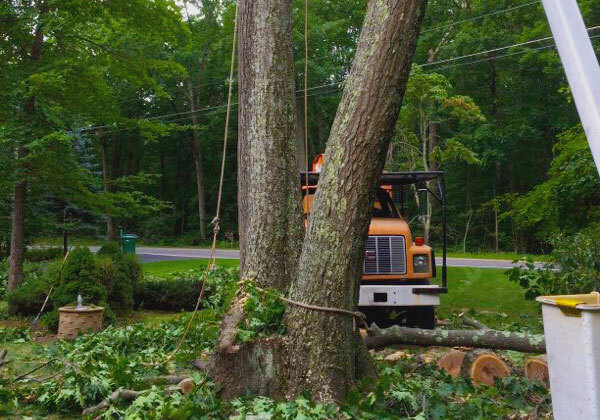 Note: It appears that there are two different “Strunk” tree service companies working in the Pocono area of PA. We saw a negative review online, but we can’t imagine that it applies to the Strunk service that we used, because that review was not at all consistent with our own experiences. The Strunks that we used were Mark (and his wife Lynn) Strunk. We have already recommended this Strunk service to friends and neighbors, because they truly are that good! I just had the pleasure, and I do mean PLEASURE, of dealing with Strunk Tree Service! The price was fair and “the guys” were great! They arrived on time, did the job efficiently, cleaned up, and were just delightful! They trimmed what needed to be trimmed and treated a few trees that needed help from the “doctor”. I’ve already scheduled them to be back in the spring to treat other trees that will need treating in spring!!!! Thank you, Mark, Lucus, and Scott! Great work! Very professional and helpful. Highly recommend to anyone looking to get their tree work done! We have used Strunk twice, and both times they were professional, neat and there were no surprises when it came time to pay the bill! We highly recommend- they were on time, courteous and affordable. We will definitely call them again for additional tree work. We have used their service twice and were completely satisfied both times. The price was fair and the workers were professional and courteous. They made sure that we were satisfied with the job during, and again before leaving. I would (and will) recommend them to family and friends. This writing is to assist anyone who is contemplating having tree service performed on their property. I have had tree service quotes and services performed from other companies and all of them extremely lacked the professional services and expertise necessary for this very difficult and intricate job. Mark Strunk spent an enormous amount of time with me and my daughter surveying my entire property, listening to our concerns, documenting each and every service that was to be performed on each tree, and where it was located. During this time, my daughter and I learned much about trees. We greatly appreciated Mark’s respect and knowledge regarding trees. He demonstrated the utmost respect for my Property by only suggesting what services actually needed to be done for a fair price. We knew after spending time with Mark discussing my tree service, we felt extremely confident and trusted whomever he was going to send to perform the tree service. My tree service was performed on October 5, 2016 by Lucas and Scott who arrived on time, were courteous, took the time to double check the list of things on my Job List and answered any of our questions and/or concerns. It was very fascinating to watch Lucas in the Boom Truck/Cherry Picker cutting back the trees around my house and garage so very professional and extremely careful in doing so, and everything on the job list was completed in a very timely manner. Lucas and Scott were able to chip every thing that was cut and I was able to utilize and keep all the wood chips on my property too! They also performed such an excellent cleanup, that it would be hard to detect the massive amount of tree branches and tree cutting was even done on my property. I am so glad to have a tree service company that I can rely on and trust explicitly with my property and treat my property like it was their own. I would highly recommend this company for all of your Tree Services. They do excellent work and if we had to rate them 1-10 with 10 being the best, they would be rated a 10.